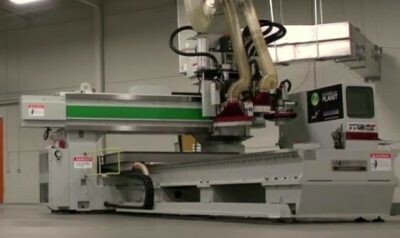 The ANDIMAXX Series Moving Table (5' X 12') 3-axis machining centers set a new level of CNC accuracy and machining performance. 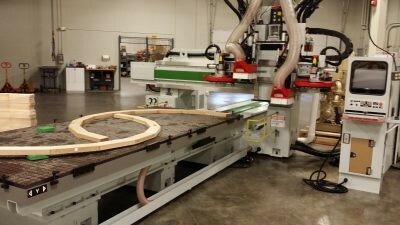 The Anderson fixed bridge and moving table design provides easy machine access. The webbed steel substructure remains smooth and rigid while cutting in X, Y, and Z-axis. 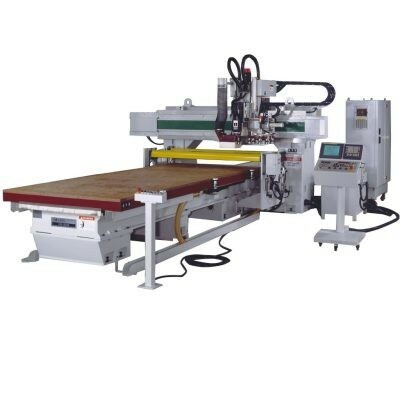 The ANDIMAXX CNC machining centers set a new standard in high speed CNC machining and as it is designed to handle heavy duty CNC machining in thin and thicker flat and aluminum plate. 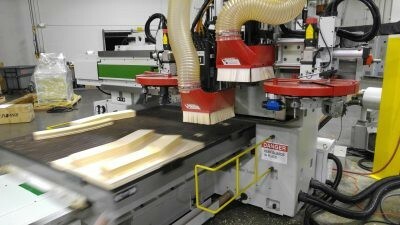 The ANDIMAXX CNC machining center is designed to handle heavy duty CNC machining in thin and thicker flat and autoclaved composites. CNC Controls include Ethernet options to provide remote technical support; optional C-Axis is available. The workpiece holding flexibility is provided by optional clamping, grid or manifold vacuum systems. 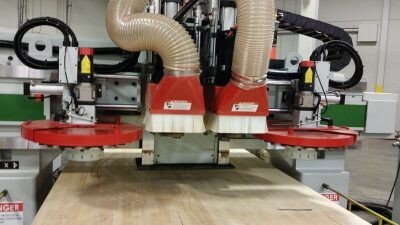 The ANDIMAXX CNC Machining Center utilizes an industry standard G-code for control functions that allows easy interfacing with all major CAD/CAM software and industry standard solid modeling software packages. 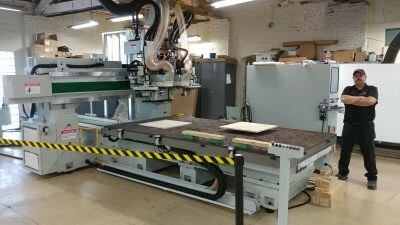 Standard spindle configuration is a 15 HP Air cooled dynamic (travels with spindle) router spindle 0-24,000 rpm. 10, 12 or 16-position automatic tool changers are options. 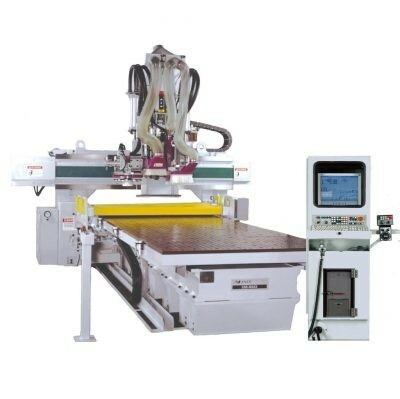 Robotic Arm Tool Changer and Water Cooled spindle versions are available. 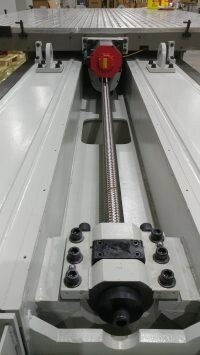 Single and Twin spindles option available. 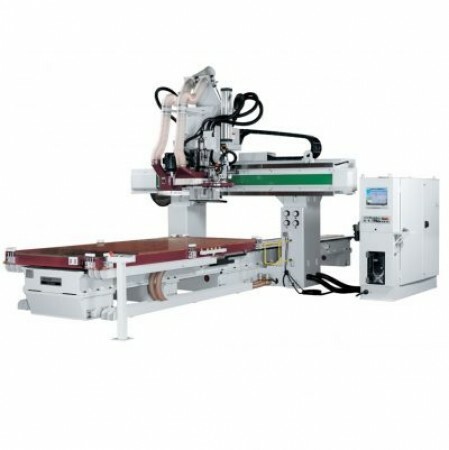 Standard boring unit is a 5 x 5 vertical spindle unit with horizontal boring unit with slotting saw option. Open Architecture ANDI-Fanuc control with PC front-end processes industry standard code via a standalone Windows PC or Network PC enabling users to work with virtually any CAD/CAM or 3rd party software supplier.